Graphic design principles are aspiring to a whole new level of digital capabilities. This makes it essential for designers to learn about the digital side of their projects, they now have to give this aspect special respect in relation to e-brochures. Designers must endeavor to educate themselves on all the features their designs can have when used across these new digital platforms. They must realize how design can be enhanced with interactive options, and also how these can be embellished with the latest online trends….it is in their best interests to know and implement this in their work. At University level, Graphic Design students traditionally studied Visual Communication alone, but now they are combining these Degrees with Digital Media Design. The need for these Degrees is a telling example of the transition in industry from print-based work to digital. Promotional expressions of company products have to combine design and marketing values to think digital for the ever growing mobile marketplace and cater to evolving web-based audiences. 1. You can integrate a video sales message – create a direct sales video; it is a way to connect with a possible customer – and also gain further rapport with your existing customers. It is almost as useful as a one on one meeting, as your message will not be interrupted. Employ a digital media expert, their knowledge of creating a video suited to the digital possibilities of your brochure will go hand in hand with your end goal. See a brochure below that incorporates video effectively; it’s a hairdressing company and the videos give useful information on hair care/styles from industry experts. Click in the double page spread below to open the e-brochure on whatever device you are on and test it out for yourself! 2. Differing sales campaigns – Your marketing team should target customer specific categories for certain campaigns. Design a range of brochures with this niche market in mind. Group your customer base into categories, and, from these findings you can relate better to the levels of interest they have. They will trust you have knowledge of their needs and your “want to help attitude”. Design different brochures that are composed of content specific to each audience segment. 3. Outline all the selling features of your product, this can take the shape of demo videos and photo galleries. A digital brochure allows a marketer to direct a customer from a link in an email or from their website to the interactive brochure itself. 4. Integrate links to buy within the design – add shopping carts – make it easy for the customer to make the hit the “buy now” button. 5. 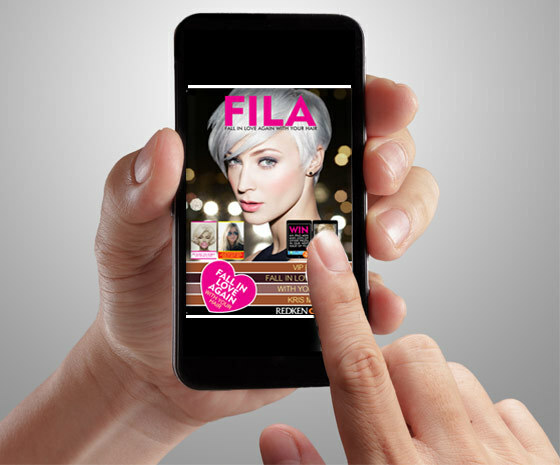 Advertising and it’s reach through digital brochures now takes on a new level; as each click can be tracked. The owner of the digital publication can give the adverts owner a detailed summary of how effective the advertisement was. Adverts can also have interactive features like animated SWF’s, sound, links and video; making them more engaging and clickable. Exciting digital advances are coming, and with it, the creation of new partnerships. From finding the best people for App and Hub development to creative media agencies; companies are opting to showcase their wares in this digital mobile-centered medium. Building new ways of digital promotion is something businesses and marketers are embracing. Building meaningful relationships with experts on the technical side is so important for showing what is possible. Please see a press release detailing an example of this through eBay and 3D Issue. Publishers of e-brochures need to collaborate more than ever before, the digital evolution of brochures means that companies need to look to outside talents that have experience in the digital realm. What is so refreshing about this is that anybody can move forward, the most interesting projects coming out at the moment are where people are teaming up. Whereas branding and marketing were the traditional link-up a few years ago, now we have a content native person teaming up with a digital native person. Traditional publishing people are now teaming up with digital agencies. Technology and design are unifying and relying on each other more so now than ever before. The results are exciting for digital brochure design. See some samples here. Or create your own digital brochure here via the free software digital publishing trial. If you have any questions regarding today’s tips on digital brochure design and how to implement them please don’t hesitate to contact us at info@3dissue.com.